With Disneyland’s 60th anniversary celebration beginning this weekend, it’s certainly time to party. Now, if the Sip Advisor ends up on the receiving end of an invitation to the affair, I have to decide who I want to enjoy the evening with. Here are some great Disney characters to share a drink with! It’s always good to have a hot babe on your arm (or on the barstool next to you), as you enter any drinking hole. This is one of many reasons I keep Mrs. Sip as happy as possible and in my gainful employ. Sure, Belle is a little too into her books (so is Mrs. Sip) and that goes against the Sip Advisor’s grain, but behaviours can be changed. Being educated is a good base to have and I have to think that behind the whole prim and proper attitude, Belle’s a bit of a freak. 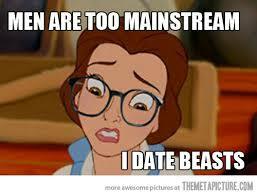 After all, she did get together with a beast! When going for wobbly pops in the 100 Acre Forest, I’d choose Winnie the Pooh and Tigger as my wingmen. Eeyore is forbidden from joining us, thanks to his gloomy view of the world, while Piglet is only invited so we have a designated driver on hand. Imagine the crazy things you could probably convince Tigger to do for your own entertainment? Plus, Pooh often gets gluttonous munchies similar to me, only his vice is a pot of honey, while the Sip Advisor is quick to reach for a bag of potato chips. If the parties thrown at Toad Hall are any evidence, the eccentric amphibian knows how to host a good shindig. We’re talking open bar, troublemaking weasels, people swinging from chandeliers… you know, all the good things in life! 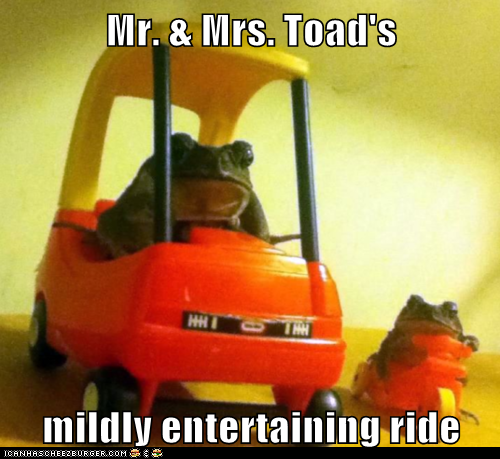 One issue might be Mr. Toad’s penchant for driving while under the influence – a definite no-no in the Sip Advisor’s books. Perhaps he needs me to keep him on the straight and narrow. His overbearing friends are also of concern, but we just won’t invite them. Along with trading stories with the well-travelled mogul, Scrooge McDuck would be able to cover any tab the two of you racked up. We’re talking enjoying some of the world’s most expensive liquors in locales around the world, as you experience your latest DuckTale! I’m sure it wouldn’t take long for the Sip Advisor to earn a spot amongst McDuck’s nephews. Hell, I can’t be any more annoying than the accident prone Launchpad McQuack or the hapless Fenton Crackshell. Baloo seems like a totally down-to-earth bear, needing only the bare necessities of life to get by. That’s what I look for most in a drinking companion. I prefer people who are easy going and don’t have a whole lot of drama surrounding them. There’s also the fact that Baloo has access to his own private plane and could fly the two of us to any remote location we want to visit. Hell, his buddy King Louie even has his own joint, Louie’s Place, where we can drink the place dry and probably for free! While narrowing this list was difficult, there are a number of Disney characters that you certainly wouldn’t want to sit down to drinks with. Cruella de Vil would certainly turn nasty and you’d have to think that Donald Duck would get quite mean after a few too many beverages. Then, there’s Jiminy Cricket… who the hell wants to have their conscience around when they’re slamming back the booze and getting up to stupid stuff!